Published on June 22, 2018 in Winnipesaukee Resort. Closed Tags: Lake Winnipesaukee Resort, the market, Weirs Beach. 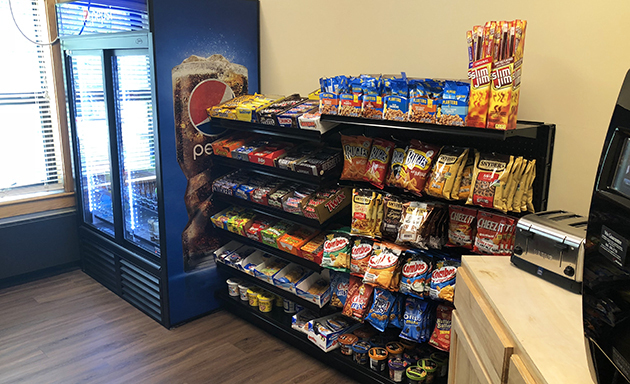 We are excited to announce the grand opening of our brand new onsite convenience store, The Market, which is now officially open! 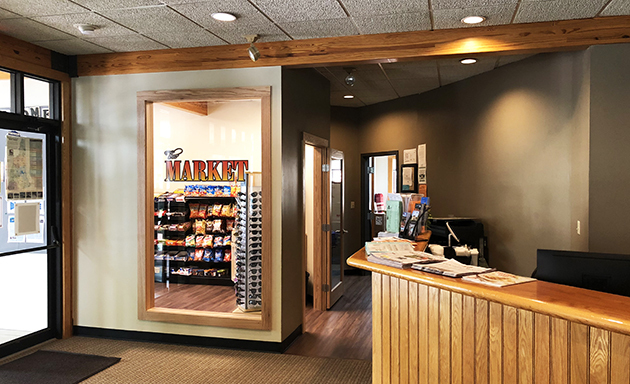 Located in the lobby of the Amenities Building, our guests will now be able to pick up a fresh brewed cup of coffee as well as a variety of food items, snacks, drinks and Summit Resort memorabilia. The Market is open from 8 am to 10 pm every day of the week. For breakfast we have freshly ground coffee, tea, and mochaccinos for a morning pick me up. You can also grab up a dozen eggs and some bacon or pancake mix should you want to enjoy making breakfast in the comfort of your own room. If you are looking for a quick breakfast on your way out for the day, just grab a bagel to go. Whether you are at the outdoor or indoor pool, stop in for an afternoon snack or candy bar. Keep the family safe out in the hot sun this summer and pick up some sunscreen and a pair of Foster Grant sunglasses. Should you want to pick up a souvenir from your trip, we have Summit Resort memorabilia such as flip flops, t-shirts, and hats along with local New Hampshire Maple Syrup made from the farm at our sister property, Steele Hill Resorts. As a reminder of your stay pick up a New England towel that highlights the different local areas and surrounding states. The Market is sure to make the Summit Resort a more convenient option for your next vacation in the Lakes Region.